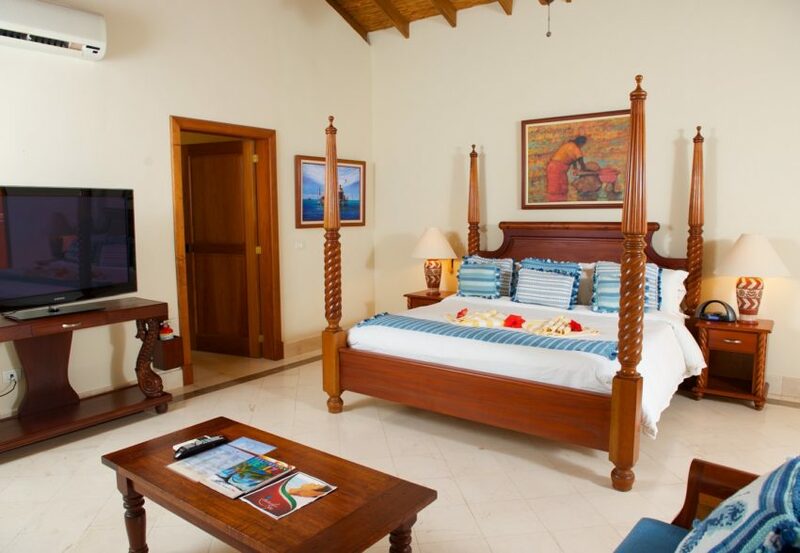 We are located just south of Hopkins Village in southern Belize offering a spacious 10-bedroom villa that accommodates up to 38 people. 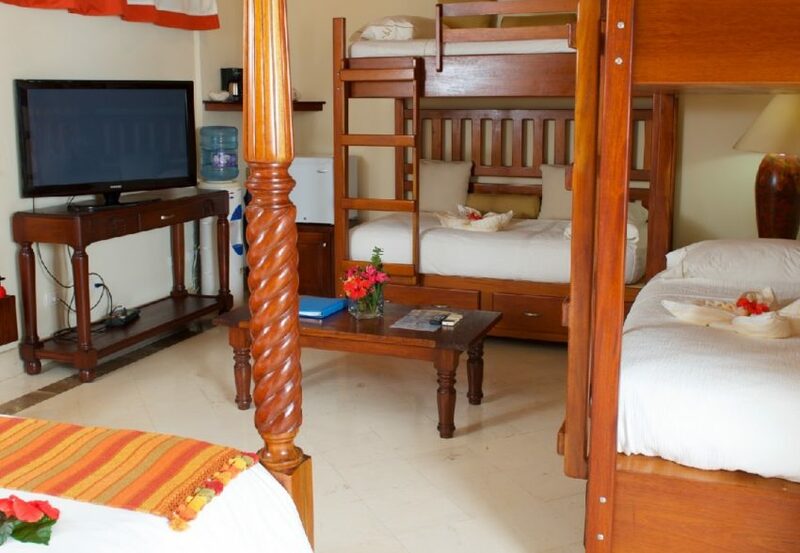 With a variety of accommodation choices, you can book a room, a floor, or the entire villa. Our villa is perfect for romantic holidays, weddings, family, reunions, fishing adventures, yoga groups, corporate retreats or unique conferences. Guests have the option to experience reef, river and inland adventures by day, while enjoying luxurious accommodations by night, with many cultural activities nearby. 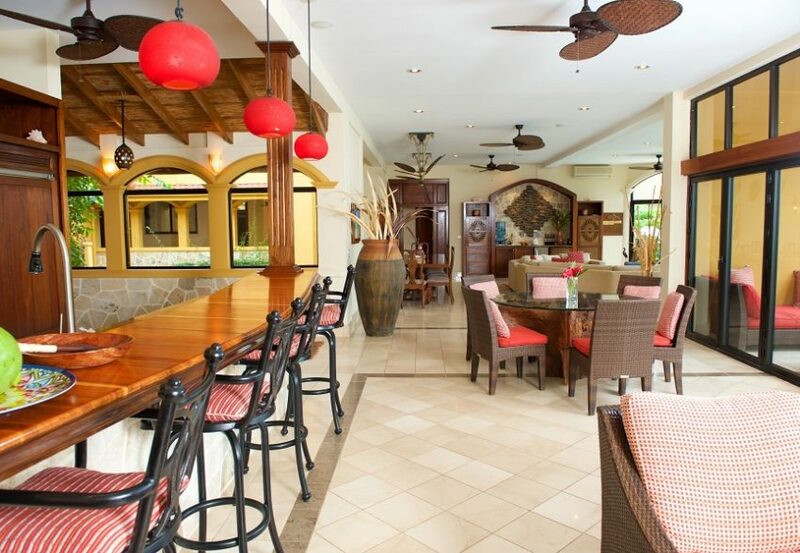 At Villa Verano, luxury adapts to your needs, and it truly is within your reach. Villa Verano’s Penthouse sits atop the spectacular rooftop with panoramic views of the Caribbean Sea and mountains. The Penthouse is the perfect private space for couples yet can be made up to accommodate four. The Penthouse has the same exquisite quality as in the rest of the villa with many finishing details handpicked from Guatemala. Unique to The Penthouse is a fully private outdoor shower. This magnificent room can be rented on its own or with one of the homes. a fully equipped kitchen with separate seating at the twenty foot island counter, a six person kitchen table as well as a kitchen sunroom. a thirty-foot glass Nana Wall between the kitchen and patio that fully opens to offer indoor/outdoor living at its best. a grand suite with a formal fourteen-person dining area and a spacious living room that includes a private bar with ice maker. a library/media room with big screen satellite television. fiber optic computer connections and Wi-Fi throughout the second floor. a secure safe in each room. a laundry room with an oversized sink to rinse fishing and snorkeling gear. 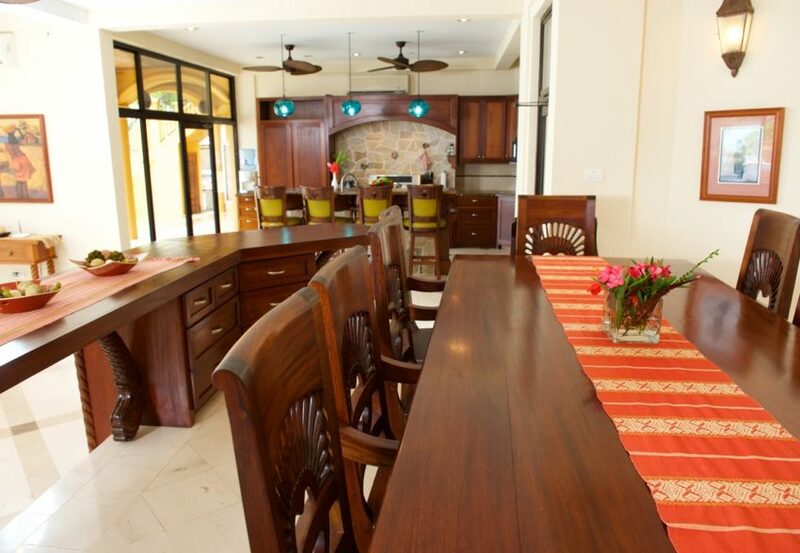 a fully equipped spacious gourmet kitchen with granite countertops and island. fiber optic computer connections and Wi-Fi throughout the first floor. 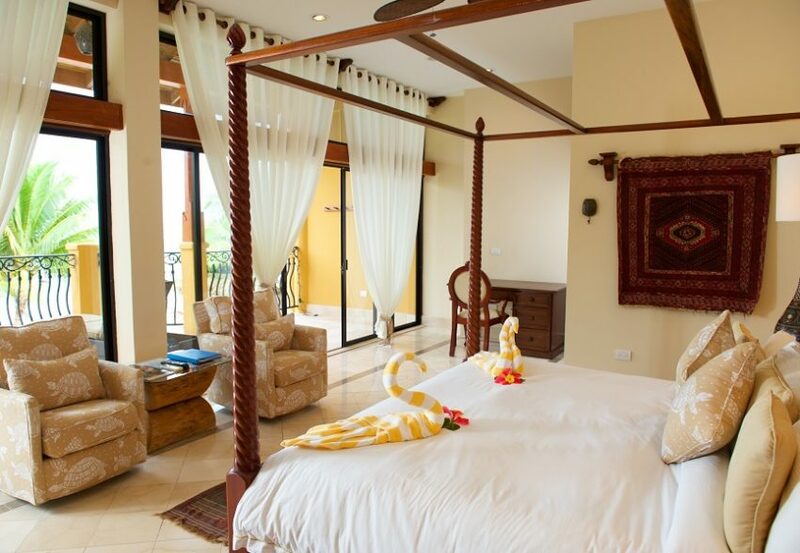 Villa Verano accommodates up to 38 people for extended families and groups. The entire villa has a total of ten exquisite rooms: the five-bedroom Sunrise Home on the first floor; the four-bedroom Sea Grape Home on the second floor; and a rooftop Penthouse Suite. The splendid rooms are finely detailed with mahogany furniture, the highest quality bedding, linens and robes, flat screen televisions and fiber optic computer connections. All guests have full access to exclusive villa amenities. A three-night minimum stay is required when booking the entire villa. We know planning a large family or group vacation can be challenging with all of the details. Villa Verano’s experienced property managers are here to facilitate the process and ensure that all of your needs are met. We can assist with coordinating your transfers and tours, any or all of your meals, pre-stocking your kitchen and bar, arranging live music and dancing, and scheduling cooking classes, yoga sessions or in-house spa services. We pride ourselves in creating custom vacations, so if there is something particular you want, just let us know!